A man once noticed a very large, locked box, which seemed very old and was of curious workmanship, in the corner of the shop of one of the great merchants of Baghdad. Now this man was interested, for he had been reflecting about the Sufis for many years, and reading their works and about their lives. He bought the box for a very large sum of money, and took it home. 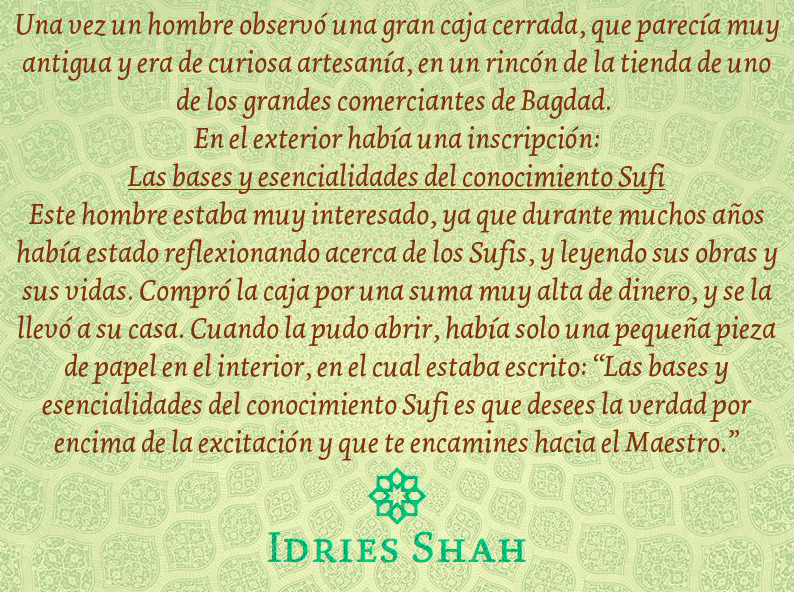 Esta entrada se ha publicado en Frases, Idries Shah y se ha etiquetado como Idries Shah, Seeker After Truth, The Bases and Essentials of Sufi Knowledge. Marca el vínculo permanente.